Nowadays the opportunities to add a new country to my list of countries I've had a beer from are becoming less and less frequent. 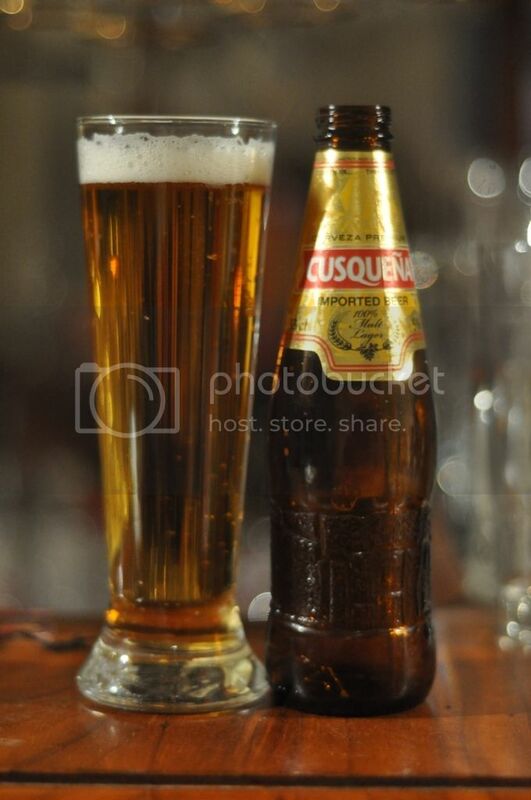 Today though is one of those days, with South Pacific Lager from Papua New Guinea joining the list! South Pacific Brewery was founded in 1952 and has been the most popular beer in the nation of 7 million people almost since it's inception. For a brewery in a relatively small country, they put out ALOT of merchandise; I've got drink's trays, coasters, hats and of course glassware. I'm looking forward to trying this lager more than I do most - I've known about it for so long and just assumed this moment would never come. The pour shows a light straw coloured beer with a brilliant white head. The head is not huge, although the small, wide mug could be a contributing factor to that. The head has a number of large bubbles present quite quickly after pouring, however retention is reasonable for the style. By the conclusion of drinking there is still a thick ring of foam around the edges of the glass, with a thin film across the surface. In summary; it looks like a beer. When first smelling this beer I thought that it was just a nasty cheap lager, smelling only of sweet grains. After further consideration I think I can smell some hops, although it may just be my nose hoping that there are some hops there, and the grains aren't as sweet as I initially thought. This definitely isn't a nice smelling lager though, it's falling into the offensive category. Thankfully for me South Pacific Lager tastes better than it smells, although not much better... The taste of the beer is neither sweet or bitter. The grains are very mild and there are no detectable flavours from any hops present. It's a bit watery but has a nice effervescent tingly carbonation which gives it some resemblance to a beer. It's certainly not a lager to write home about. Overall; you get what you pay for. 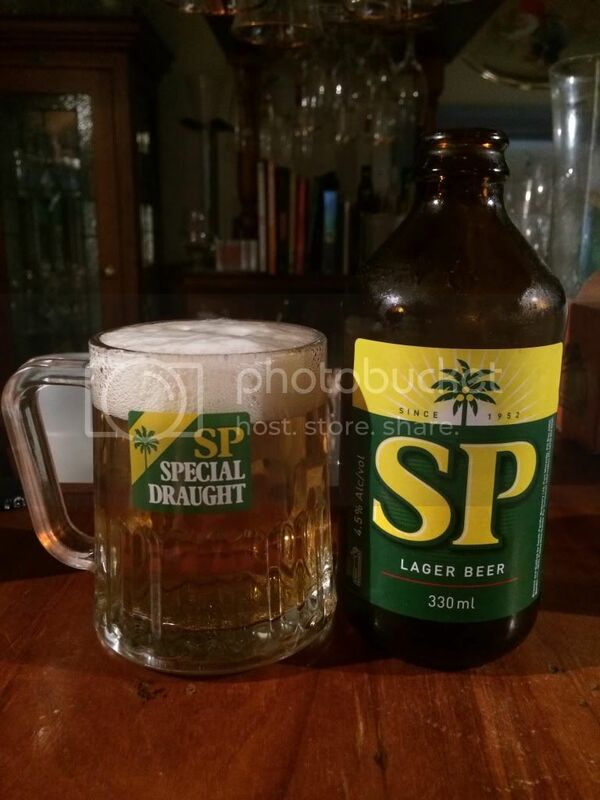 South Pacific Lager is a cheap beer and it tastes like it as well. It certainly has some refreshing qualities and in Papua New Guinea, where I imagine the range to choose from is limited, you could do worse. In Australia though, don't both buying this beer - there's many much better lagers out there. Maybe as a novelty or to cross a country off your list like me, but otherwise I'd save the money.